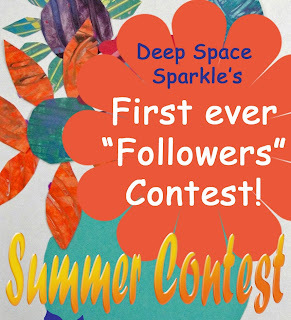 THANK YOU all so much for your wonderful comments for my First Ever Followers Contest. It was fantastic reading which art lessons you have tried, which ones you plan on using and the variations you adapted. I hope you all continue to make suggestions on different ways to approach these lessons and what your students and children enjoy. Please send me your email addresses and I'll forward you a link to the PDF Art Lesson Booklet of your choice. Please specify "Eric Carle" Inspired Seahorses, "Fun with Portraits", or "Watercolor projects".